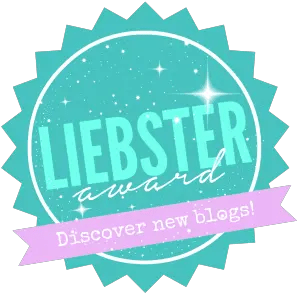 Home Blog I’m nominated for the Liebster Award 2016! Do you know that moment when they announce the nominees for the Oscars or the Golden Globes? No me neither. I’m not that much into awards as I don’t know half the people that get them anyways. But now I have been nominated for the Liebster Award 2016 and guess what? I choose to accept! The Liebster what..? The Liebster Award 2016. Yup, I was nominated by the lovely Melissa from HighHeelsandaBackpack.com. 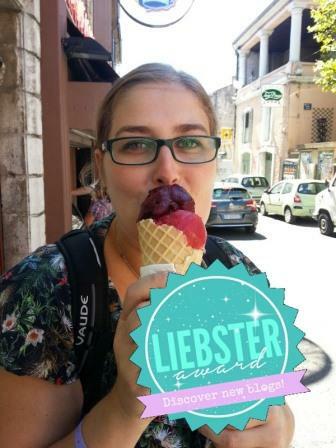 The Liebster Award is an award among novice travel bloggers. It’s a way to get to know each other and to share some love around the digital world of travel blogging. I saw some badges floating around on the internet but I never seriously thought somebody would nominate me. Me! I just started this travel blog a couple of month ago and I didn’t think people would already pick it up. So thank you dear reader out there. Yes, I mean you. # 1. What is your favorite dish you’ve discovered along your travels? 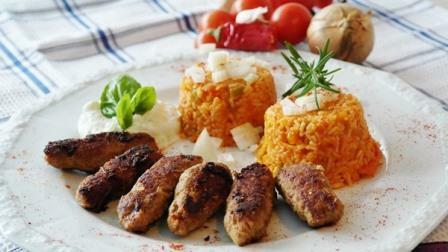 This must be sigara köfte from Turkey. This charcoal grilled ground beef is to die for. It is my number 1 thing to eat when traveling to Turkey and I can get all hungry when I think about it. # 2. What type of traveller are you? 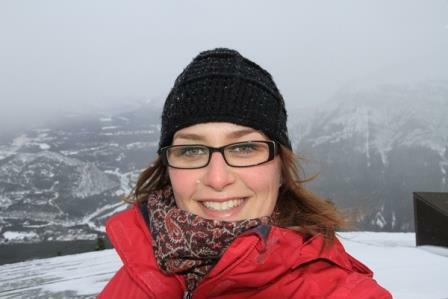 I used to be the ultimate budget backpacker type of girl. I used to go to Berlin for a weekend and only spend €25 in total. I still don’t know how I managed that. When I travel for longer, I notice I start to miss to indulce on certain things. I buy myself an expensive coffee every now and then or splurge on a fancier hotel room. I travel solo but also with my parents and boyfriend. I love to explore, history and culture are my favourite things to discover, hence my love for Italy I guess. # 3. If you could give one piece of advice to a travel newbie what would it be? GO! Just go. Don’t wait for later when you have enough money to travel the whole world at once. Just go. Now. Go away for the weekend or a week and discover a new place. It might not be in the top 100 bucket list destinations, but explore and see something new. I discovered there lays beauty in every new place to discover. # 4. Have you had any negative travel experiences? Yes I sure did, and so has everyone else. The thing is: you shouldn’t dwell on it for too long. These things happen. At home and on the road. Life continues and with it come all the little problems and bigger issues. 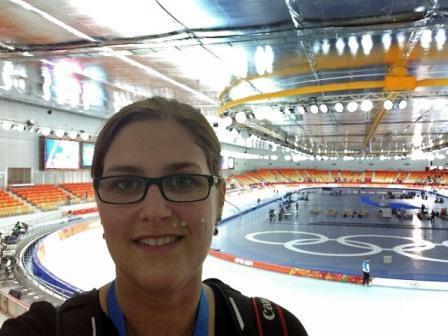 I did have a bit of a panic moment when I arrived at 4.00 am at my hostel in Sochi for the Winter Olympics, after a long day of traveling. I was at the right address, but there were 5 apartment blocks with 10 floors each and I didn’t know which one was my hostel. When I did find it, there was nobody to welcome me or show me my bed. I was so tired I crashed in the first free space I could find. Not my best moment, but I survived. # 5. What has been the most memorable act of kindness on your travels? This is a hard question to answer. I experienced so much kindness along my travels. People share their food with you; they welcome you into their homes without even knowing you. They act without prejudice or reservation. I think the people make travel unforgettable. # 6. Do you think travelling has an impact on your friendships and relationships back at home? I’m not sure. On one hand I hope things do not change when I go away and leave people behind and not be that involved into their lives while I travel. On the other hand, every time I travel, I feel I changed a bit myself. As if my mind has opened itself for new experiences and I usually discover a new thing about me every time. So on the other hand: how can relationships not change when I feel different? Having said that, my parents have always been there for me and they support me with every travel I take. It will be the first time though, that I will travel for a longer period of time without my boyfriend. I wonder how I will deal with missing him and not being able to share this great adventure with him. # 7. What’s your number one tip for travelling on a budget? Research. Each and every time I spend too much money was when I didn’t research my stuff well enough. Ending up in a too expensive hostel. Or buying tickets for a museum at full price although online they gave a 10€ discount. Stuff like that. Know where you’re going and know what you’d like to see. It doesn’t mean you have to make reservations for everything, but if you know you want to visit a certain sight or museum, make sure to check if they have any discounts. # 8. Where to next, traveller? Well, I’m going for a short weekend to Alicante this month and next month I’ll spend a longer weekend in Barcelona. Those are the little trips for the next months. I am preparing though for my longer trip to Peru and Bolivia. I’m super excited about finally making that dream come true and I consider this my big trip. # 9. Where has been your favourite place so far? Another hard question! How can anyone ask a traveller this? I loved Turkey. You can check out my favourite beaches in Turkey in this post. I have travelled to this country an extensive amount of times, and still I want to explore more. But I also travelled to Mongolia and Tibet. The experiences I’ve had while travelling there were so different and I made some long lasting memories. How can you not love that? # 10. What is the most ‘can’t live without’ item in your backpack? I’m not a good packer by any means. I usually pack everything the day I’ll leave. I’m a happy camper when I remember to bring some pyjamas and my toothbrush. As long as I have my passport, my cards and my medication, I guess I’m good to go. Having said that, I do bring a scarf with me everywhere I go. I have over 20 of them, so it’s hard to choose which one. They keep you warm, they protect you from dust and sand and they are a great way to spruce up your outfit as I wear a lot of blacks. # 11. Any recommendations on handy travel apps or websites? I’m not really heavy on the app use when travelling. I download some specific apps before I go, but never end up using them as you either need Wi-Fi or they don’t show you what you want. I do research a lot before I set out and I use sights as Wikipedia, TripAdvisor and Airbnb a lot. I check out google.maps a lot before I head out. I find a lot of value at the Lonely Planet Torntree forum, so I guess I’m pretty old school. Maybe that’s a good thing to develope before my next big trip. And my nominees for Liebster Award 2016 are..
Why did you start your travel blogging? What was the hardest thing about travel blogging in the beginning? What is your favourite destination you’ve been to so far? Who inspires you to travel? What is your favourite mode of transportation when traveling? Please finish the sentence: a trip is successful when I have done…? What is your biggest fear when traveling? Have you ever gotten ill when traveling and what did you do? Do you buy travel souvenirs and what do you do with them? If you’d won the lottery, what would be the first destination? So please let me know when you accept the nomination and where you’ve posted the answers. You can tag me on Twitter or Facebook. So now what? Don’t worry. I’ll not run off all high tally and snobby on you people. I think I’ll just be my little self, nomination for the Liebster Award 2016 or not. Have you read this post and do you feel disappointed I didn’t nominate you? Well, don’t worry! I’d still love to read the answers to the above questions! You can always drop an answer in the comment section below. Why not? How to pack your medication when flying? Great post! Thanks for accepting the award 🙂 really enjoyed reading your answers. 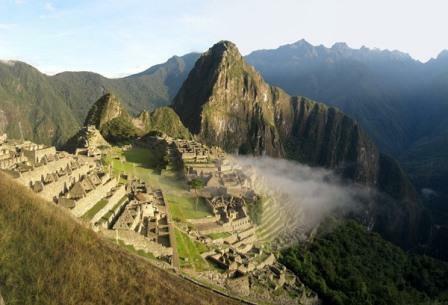 I am so envious of Peru and Machu Picchu – I can imagine the Inca trail will be an amazing experience! Hopefully I’ll get around to SA in the next few years but I look forward to reading your take on it! You gave me some tough questions but loved to answer them. Very grateful for the nomination, can’t wait to answer your questions! !